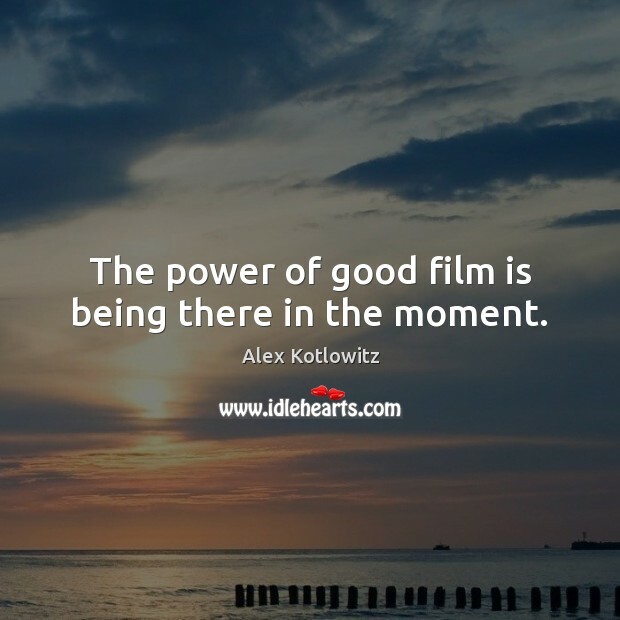 Enjoy the best inspirational, motivational, positive, funny and famous quotes by Alex Kotlowitz. Use words and picture quotations to push forward and inspire you keep going in life! The power of good film is being there in the moment. Freedom is like holding a small bird. If you squeeze it too hard, you will kill it. But if you don't hold it firmly enough, it will fly away. 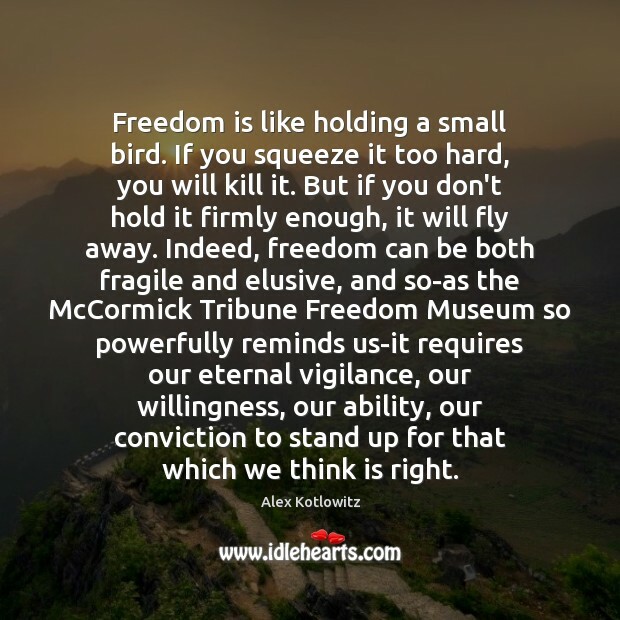 Indeed, freedom can be both fragile and elusive, and so-as the McCormick Tribune Freedom Museum so powerfully reminds us-it requires our eternal vigilance, our willingness, our ability, our conviction to stand up for that which we think is right. A Crime So Monstrous is a remarkably brave and unflinching piece of reportage and storytelling. 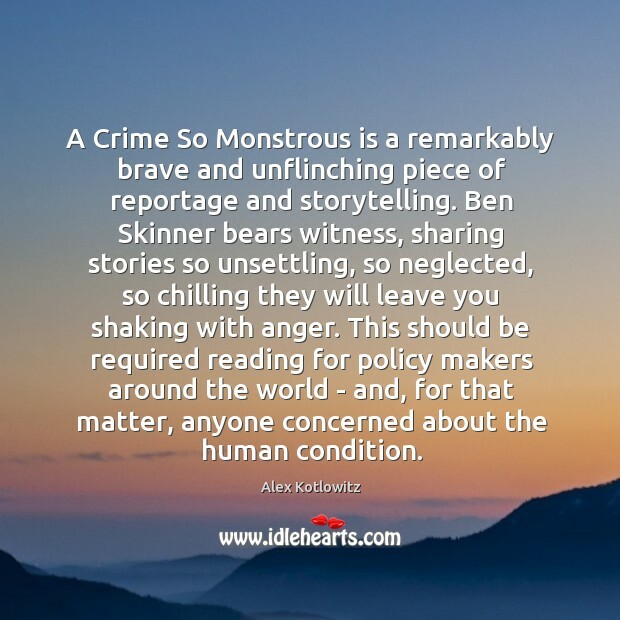 Ben Skinner bears witness, sharing stories so unsettling, so neglected, so chilling they will leave you shaking with anger. This should be required reading for policy makers around the world - and, for that matter, anyone concerned about the human condition.